Photo: Mikal Davis solidifies a brand with 45th Street Management on his stomping grounds of St. Paul. As the Minnesota State Fair continued to control traffic on Snelling Avenue this week, I kicked off September siping my evening away with a cup of green tea at the St. Clair Broiler, checking the latest MLB stats online and catching up with St. Paul entrepeneur Mikal Davis while he sipped a glass of red wine and conducted 3 different conversations between me, his colleague Christopher Whidby, and a VIP concert ticket buyer on his phone. Mikal Davis is the CEO of 45th Street Management which will be presenting the Shaquille O'Neal All-Star Comedy Jam this Saturday at the Orpheum Theatre. Along with developing a chain of music and entertainment events, for 2 years Mikal has established a non-profit mentoring program called Project Rondo with a mission to restore his neighborhood by developing opportunities for young men and community surroundings. 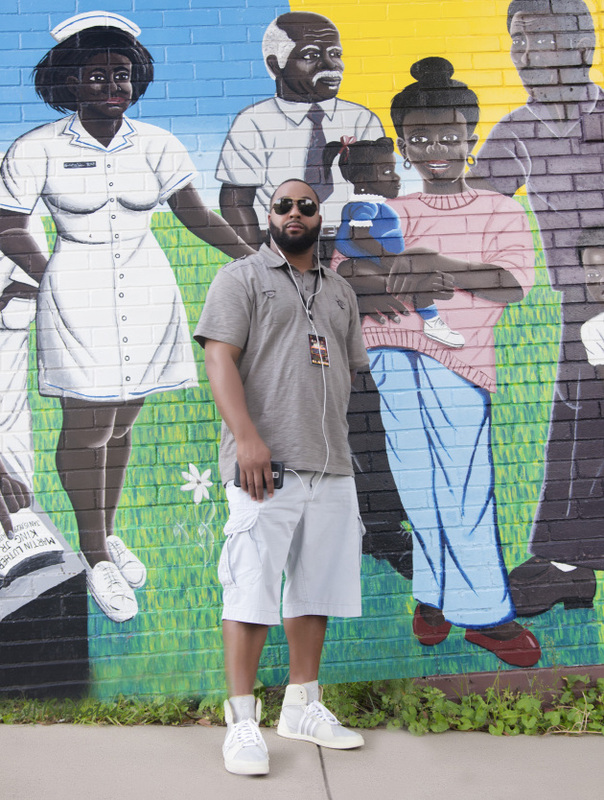 When it comes to events and concerts in the past 10 months, Davis has been the lead organizer in bringing the Twin Cities national acts such as 2 Chains, T.I., Boosie, Rich Gang, Meek Mil, Schoolboy Q and Compton star Kendrick Lamar. Not only does Davis focus on bringing quality events with flavor and class to uplift the urban communities around his hometown, but he also has set and reached goals with his company in several cities like Phoenix, Tempe, Memphis and Las Vegas. This weekend's comedy jam will bring national touring comedians Lavell Crawford, Deon Cole, Tommy Davidson, and Tony Roberts to one of the most prestigous venues in the Minneapolis' theatre/venue district. M.I. 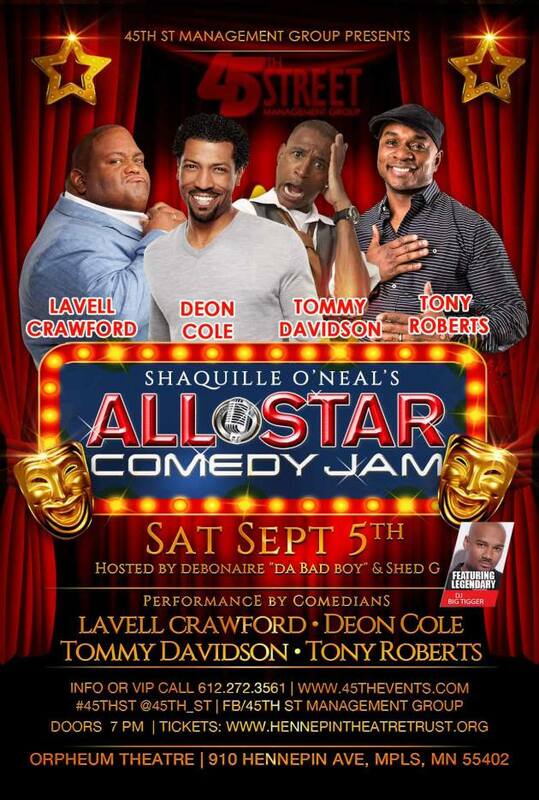 : This Saturday you have the Shaquille O'Neal All-Star Comedy Jam at the Orpheum. Who's your favorite out of the comedians coming to perform and who are you most anxious to see? M.D. : Tony Roberts for sure. But I'm also curious to see what Tommy Davidson is going to do. Real talk I'm really excited to see Du-Nasty who's from the Twin Cities. This is going to be a big stage for him and I'm anxious to see how he's going to take charge. Du-Nasty has hosted a lot of our events, it's only right for him to open up and rep for the scene. Maria Isa: You've done a lot this past year with all your events being respected and recognized especially in the hip-hop community here. What has been one of your most memorable events outside the Twin Cities? Mikal Davis: This past May I rented Michael Jackson's Las Vegas house for the whole month. I through 3 successful events in one month! It kicked off with the Mayweather vs. Pacquiao fight party, than another one for the Billboards, and lastly a huge memorial weekend bash out there. That was on lock! It was just different than any of our other events and I mean just crazy. We're from St. Paul. Selby/Hague. The old hood. Always reppin that we're St. Paul bred and here we are...45th Street Management Group throwing huge events at the King Michael Jackson's house. M.I. : What do you want the concert/event attendees to know about your company and its presentations? M.D: What we want our customers to know is that me and my team aren't janky promoters. We let that be known because there's a lot of these other people calling themselves event planners and promoters who are just in it to throw an event and are not considering the full package and leadership it takes. See for us this is our job, our everyday movement and we're continuing to learn as well while we build. It's not just to be here on a promotional tip for one bang and roll out, it's on solidifying a brand off good business, customer clientele and succesful numbers along with the people being more satisfied each time. My company 45th Street Management Group plots on what we can do for a full circle of success. We're doing what we will do to ensure that our customers and ticket buyers are served with the best and treated the best at our events. We're always here to hear and serve what our customers want from our events. M.I. You're motto for your 45th Street Management Group is class courtesy, and mass appeal. I hear there's a huge after party following up the Comedy Jam on Saturday. Tell me a little more about this? M.D: Well we're all about making sure our people who attend our events are having a good time and want to alwasy continue to raise the bar, because 45th Street Management Group's deliverance is worth every buck. 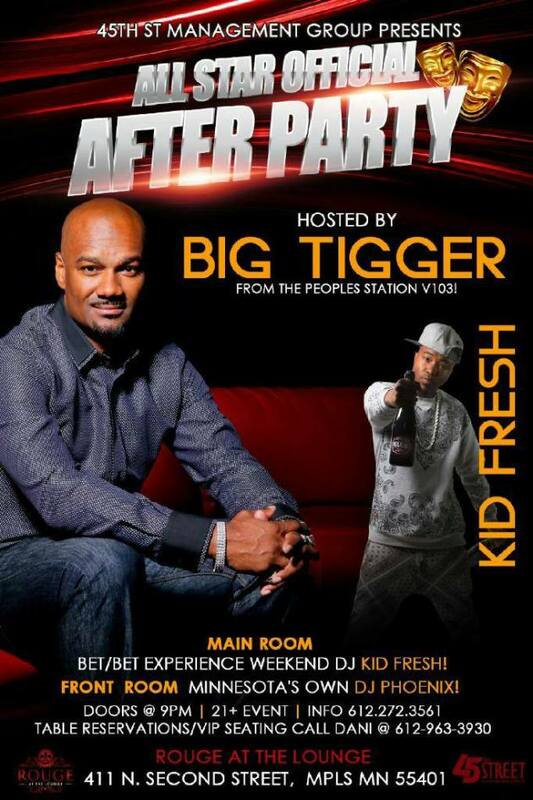 So to ensure our customers continue having their good time after the All-Star Comedy Jam, we are going to provide an after-party immediately following hosted by the legendary Big Tigger with BET Experience DJ Kid Fresh at Rouge at the Lounge. M.I. : That's what's up! I know I'll be in the house this weekend to check it out. 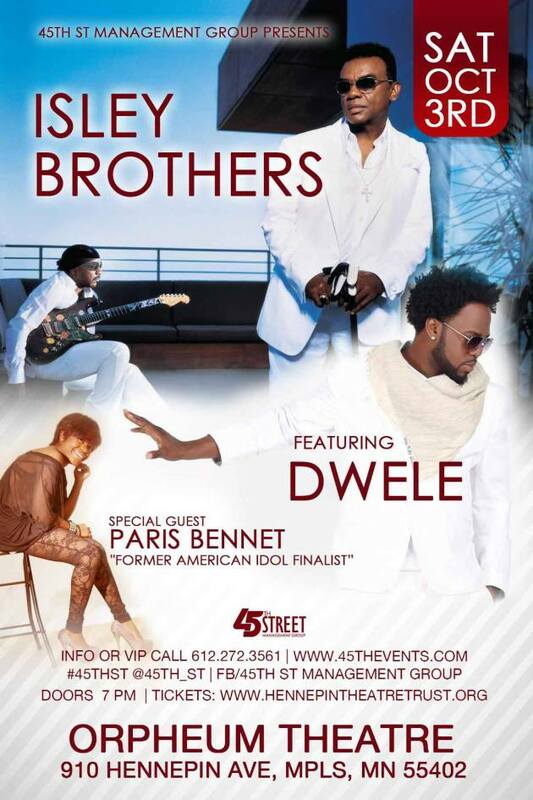 What other upcoming events does 45th Street Management Group have coming up here in the Twin Cities and where can we find out more information? M.I. : If you could describe your company's mission with 5 words what would they be? M.D: We began this company and branded it in St. Paul with respect to be trailblazers in continuing to be creative with direction and originality to serve those who demand and share the same values. With that being said, I describe 45th Street Management Group with these 5 words: Class, quality, consistency, courtesy and delivery! Lavell Crawford, Deon Cole, Tommy Davidson, Tony Roberts and openers Adrian Washington and Du'Nasty. Hosted by Debonaire Da Bad Boy and Shed G featuring Dj Big Tigger.